This week I spoke to Anny Crane. Anny is a process artist, working mainly in embroidery. Anna’s process struck me visually because she embroiders onto paper, usually that she’s made - so there’s a lot to take in, textures, colors, embellishments. I loved getting to talk to Anny about how she got started with the sort of art she creates, something she found as her grandmother was passing & how her process has changed and stayed the same.We discuss her move to Michigan, her current job situation & how sometimes settling into success can feel intimidating. Be sure to stay tuned to the end - we really get into some big feelings around social media and how our use of it has changed over time. 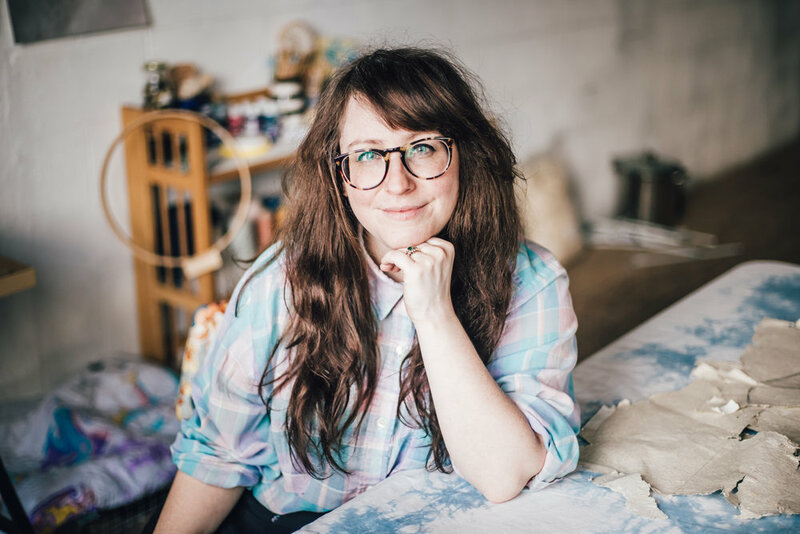 This week I spoke to Liz Spencer, The Dogwood Dyer. Liz really walks me through her educational experience relating to fiber art and how it led her to where she is today - from the London College of Fashion to working as a seamstress. Liz had what she refers to as a “backwards approach” to natural dyeing, beginning with gardening natural dye plants before ever dyeing with them. She has experienced many forms of fiber and many ways of relating to the medium, but she feels like natural dyeing is the one that’s really stuck and is one she continues to practice and learn more about every day. Liz explains how she’s made her practice work, from a small apartment in Brooklyn to a family home in Riverside - alongside raising children and teaching in academic institutions. What I really appreciate about talking to Liz is her honesty and sincerity - it’s so clear how much Liz loves and is fascinated by natural dyeing, and I loved how she really tells us about how she’s made it work for her and how she and her family plan to make it work in the future. She’s certainly a person whose work inspires me endlessly, so I’m excited to share with all of you what she had to say! This week I spoke to Mike Reynolds of Everyday Girl Dad. Mike first came across my radar with his feminism-forward parenting and life thoughts and then I noticed that he was cross stitching. After engaging with each other’s content for a while, we finally sat down to talk, and we covered all the ground you might expect from a person like Mike - a father who parents daughters, is outspoken about feminism, masculinity and mental health. We discuss how we got into cross stitch and the way he uses it in his own life, and how he got started with designing his own patterns when folks he wanted to cross stitch weren’t being represented in popular cross stitch. We talk about the importance of being willing to listen to other people’s lived experiences, and how this has been a central part of his learning of feminism. Mike acknowledges the way in which his privilege allows him to have sometimes difficult conversations with other men and masculine folks, and how important this is to him. I think a lot about gender and the way that it’s been steeped into every corner of our lives, so it was really gratifying to talk to someone whose lived experience if different to my own, and so wonderful hearing from a man about gentle masculinity and how this can look in real life. A huge thank you to this episodes' sponsor, Sugar Candy Mountain. Sugar Candy Mountain is a sustainable women's clothing line, made in LA from natural fibers. I love the attention to detail that they take with their clothing to ensure it has the longest lifetime possible - from sourcing high quality linens to using french seams and strong finishes in all their garments. They've totally eliminated plastic from their packaging, which is a huge win the fashion industry. I'm especially obsessed with their linen jumpsuits and cotton gauze, oversized breezy tops for summer-loving. Check them out online at sugarcandymtn.com and on instagram @sugar_candy_moutnain. Thanks again to Sugar Candy Mountain for sponsoring this episode of the Close Knit Podcast! 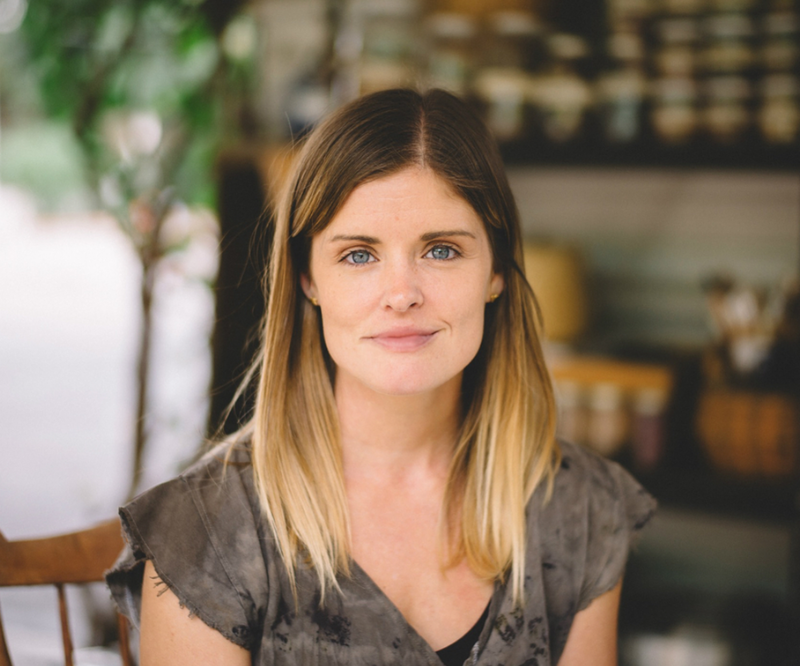 In episode 38, I spoke to an old friend of mine - Lauren McDonald of Working Cloth. We recorded this chat in my closet while Lauren was knitting a baby hat, for no baby in particular - which probably tells you a lot about how it is that we became such good friends. We talk about how Lauren went from being the kid at the playground making friendship bracelets to studying in human ecology (formerly known as home ec), to working in fashion in london for 3ish years, to starting Working Cloth. Lauren and I met one month after she started Working Cloth, when she was living in Australia, making sense of her place. Lauren taught a sashiko workshop in Hobart & and we discuss her study of sashiko, the history of textiles & she casually drops her thesis into conversation - "the corporotization of craft in the early 20th century with a focus on depression era quilts", which of course leads into a whole other conversation about fashion, gender, and a favorite topic of mine - the politics of pockets. What I love most about this conversation, apart from everything, is the way in which Lauren articulates her place in all of this - how universal craft is, and how we can all have place in learning and teaching it. How we can contextualize culture in the global use of patchwork and the running stitch. Truly, you just have to listen because Lauren does a much better job of explaining this than I do. We talk about so much more than all this, but I'm running out of podcast intro music, so listen on for the whole chat! In episode 37, I spoke to another very dynamic duo, Jess Schreibstein and Claire Moskal, who together created a knitting pattern company called Mild Woman. Jess and Claire have been on my radar for years now, with their modern and minimal knitting aesthetics, their very adorable friendship that involves knitting the same things and collaborating on incredible projects. They explain how their friendship came to be, and how they collaborated on Mild Woman. Jess and Claire get into the specifics of how they ran this project and talk about how important it is to value and properly compensate people (even your friends, ESPECIALLY your friends) for their creative output. Claire and Jess talk about their first knitting projects and their first sweaters and how they encourage each other with their creative practices. There are pictures of each of their first sweaters in the show notes for you to see, which I gotta say, are remarkably less embarrassing than my own first projects, which I think speaks to their aesthetics and their creative abilities. Wiksten - Jenny Gordy: the way her brand runs, again, aesthetics and timing.